Combine two classic styles with a cream Venetian blind. For a perfect fit every time. Our metal Venetian blinds are made-to-measure to fit your windows perfectly. Choose your preferred finish and slat width and we’ll create bespoke blinds that’re completely unique to you. Measuring and fitting is included as standard. It’s all part of our dedicated in-home service. Cream always proves a popular choice and it’s easy to see why. Blending beautifully with any colour scheme, the versatile shade has a timeless appeal. Soft creams have the same refreshing quality as crisp white tones, without being stark. In fact, cream Venetian blinds create a wonderfully inviting look wherever they are used in your interior. 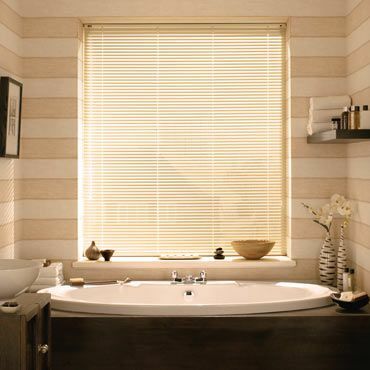 Cream Venetian blinds are not only stylish and sophisticated, but practical too. To achieve the perfect balance of sunlight and privacy in your room, all you need to do is tilt the slats to suit your needs. Book a free no-obligation home appointment with Hillarys and we’ll show you how lovely cream blinds could look in your home. During your chosen time slot, your local Hillarys advisor will bring our range of Venetian Blind samples to you, so you can browse in comfort. Your expert advisor will explain all of the available options. These include a selection of slat widths for windows of different sizes and aspects. 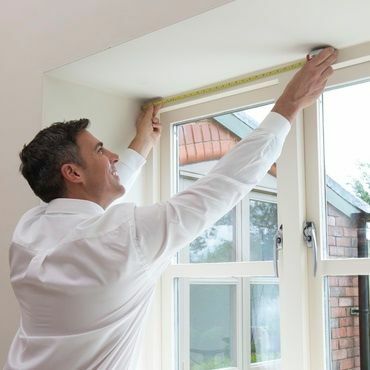 Your advisor will measure your windows and then provide you with a no-obligation quote based on the exact specifications.